Still buying your personal or business cheques through the Bank of Nova Scotia? Did you know that your bank if not actually printing the cheque orders and instead is outsourcing your cheque orders to a 3rd party company. The company that Scotia Bank outsources to is no longer Canadian Owned, and has recently outsourced the vast majority of its Canadian call centres offshore to reduce their costs and increase their profits at the expense of Canadian employees. As a Canadian Owned and operated small business we only employee Canadian staff who live and work here. By doing this we do incur higher wage costs but we also are able to have complete control when it comes to turn around times of our clients order. We can print and ship cheque orders out same day and can deliver to most of Canada next day when a client is in a panic! 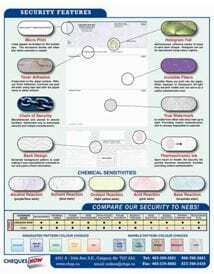 Our cheques also have more security features then the banks supplier giving you a Premium Product at a reduced rate. Make the change Today! The Canadian Economy, our employees and your Wallet will thank you for it. Simply Accounting, Quickbooks and all other software programs. Order Business Cheques from a supplier other than Scotia Bank / The Bank of Nova Scotia. 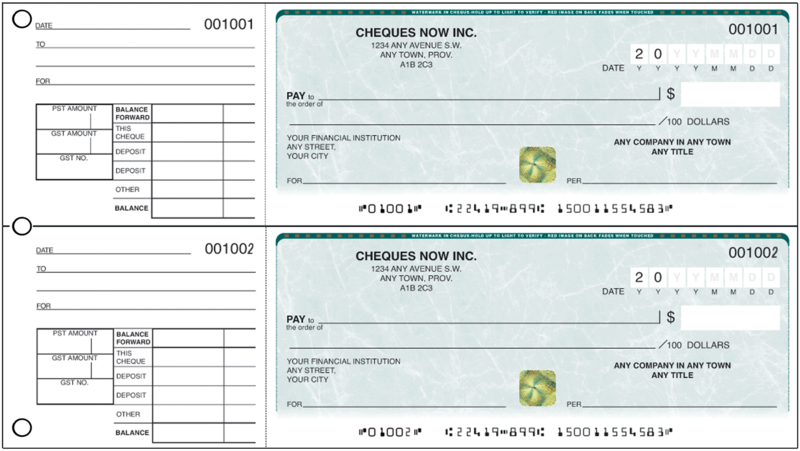 Our cheques have better security features than you will get from Scotia Bank / The Bank of Nova Scotias cheque supplier. Plus you will get 25% more laser or 50% more manual cheques than Scotia Bank. We specialize in reducing cheque costs for Royal Bank customers as we can offer a cheque product, at better prices, with higher security features.